Robin Hood left it late scoring three goals in the final 10 minutes to advance to the Second Round Draw of the FA Challenge Cup with a 4 – 1 win over the Somerset Eagles at the White Hill Field. Antwan Russell gave Robin Hood the lead in the 26th minute, but Leo Burgess equalized for the Somerset Eagles in the 62nd minute. Both teams wasted chances, but the winner would come in the 81st minute when Shakir Smith beat Lorenzo lambert in goal for the Somerset Eagles, seven minutes later it was 3 – 1 when Lejuan Simmons scored and then in injury time Tomiko Goater found the back of the net for Robin Hood to make the final score 4 – 1. The Southampton Rangers traveled to Lord’s in St. David’s and defeated the home team 4 – 2 to advance to the Second Round Draw. The Southampton Rangers would get goals from Jarazhino Basset, Darius Cox, Cardel Henry and an own goal, while Kontai Burton and Zachary Morris scored a goal each for St. David’s. BAA made it three wins in a row for the road team as they defeated the Boulevard Blazers 3 – 1. 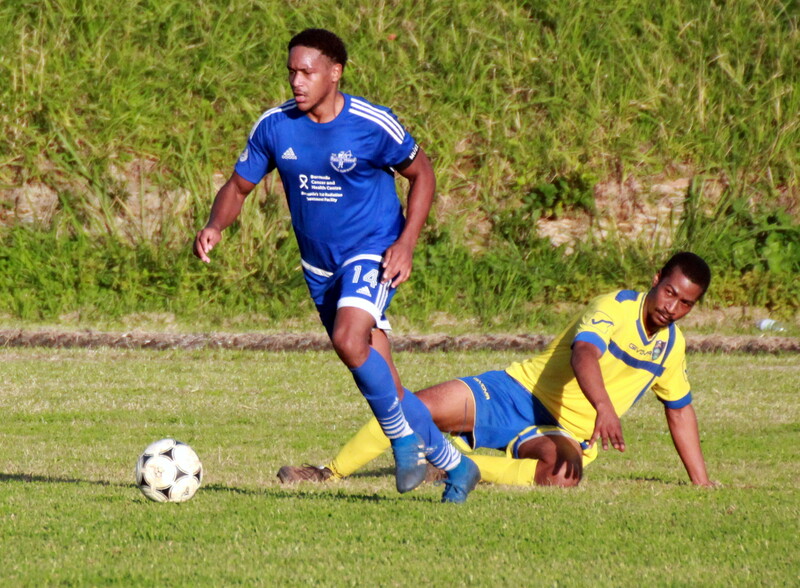 BAA would get single strikes from Nathan Rego, Rushaine Nurphy and Troy Tucker, while Ernest Trott scored the lone goals for the Boulevard Blazers.